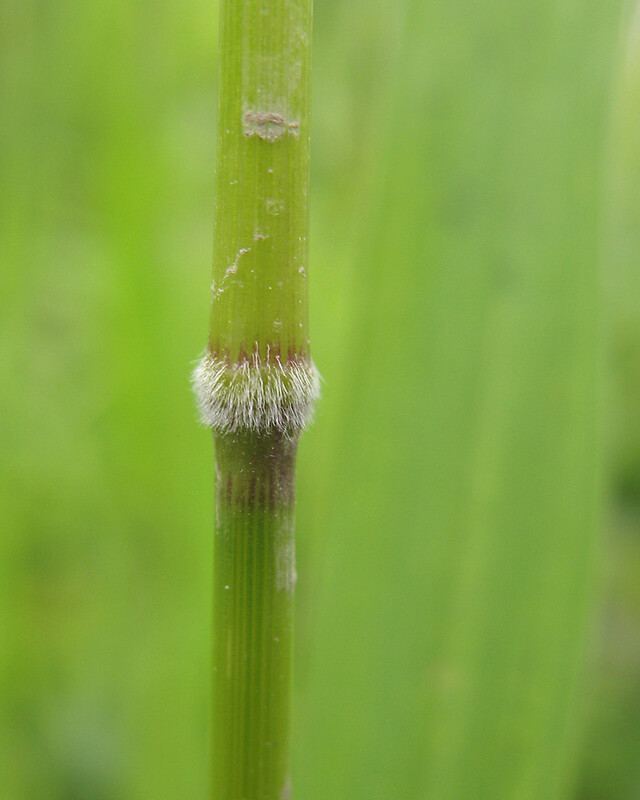 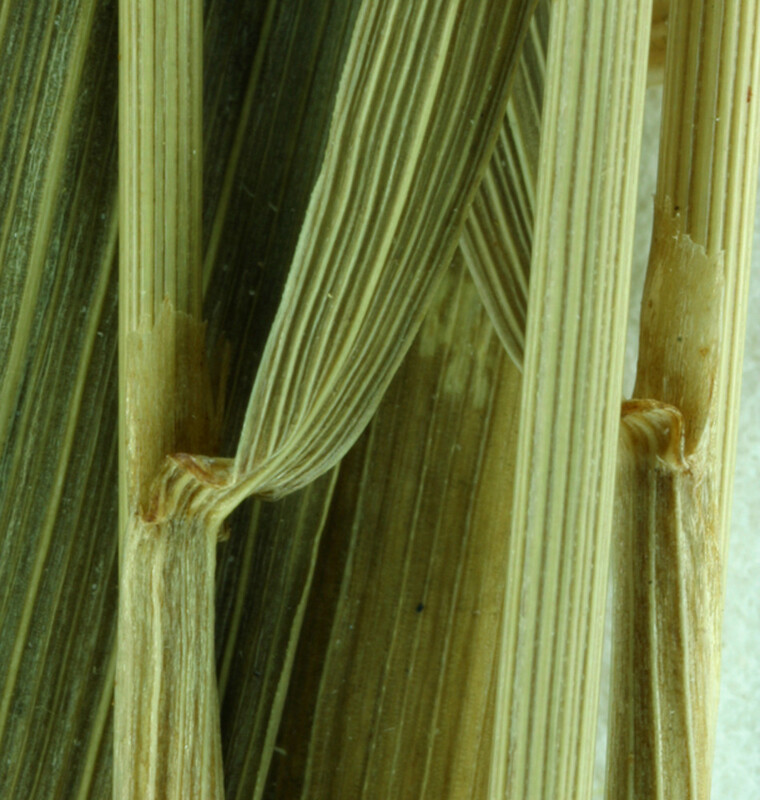 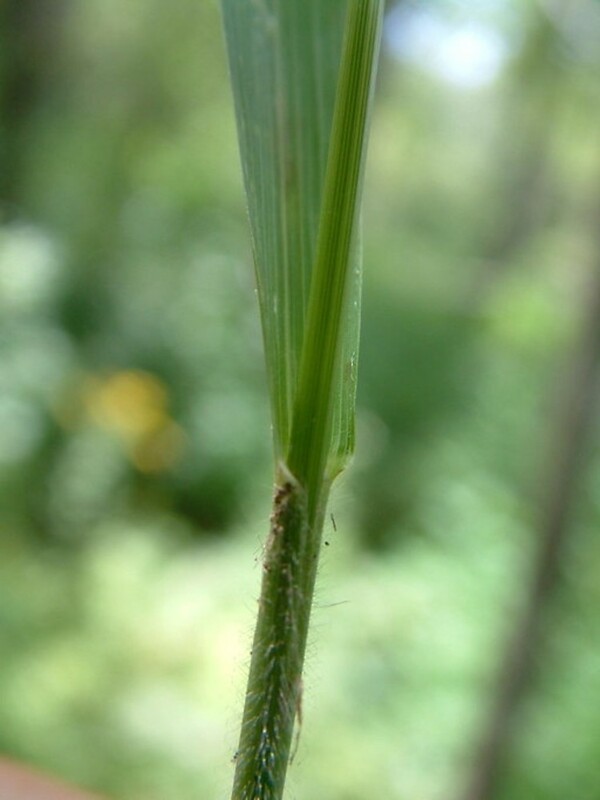 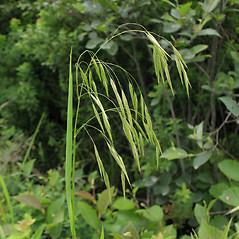 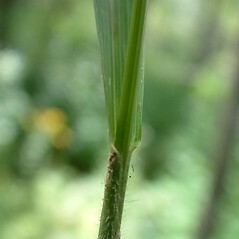 Fringed brome is widely distributed across North America. 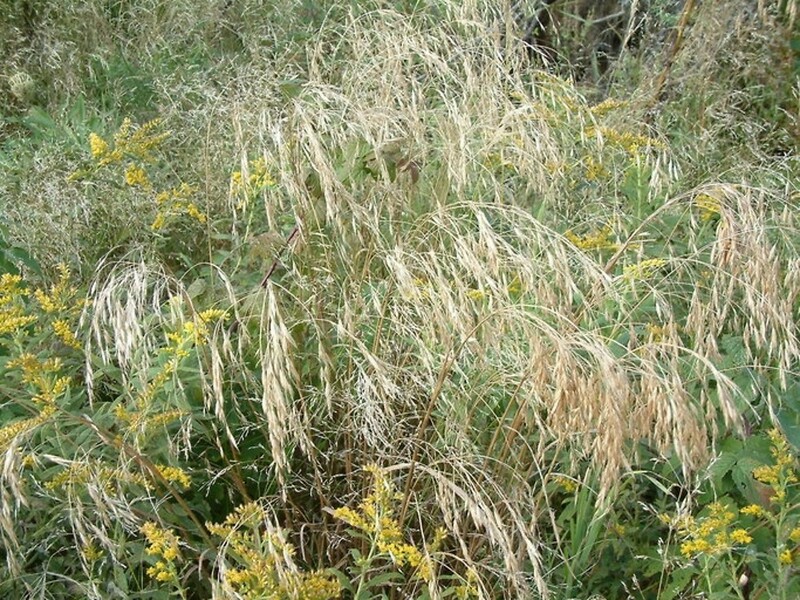 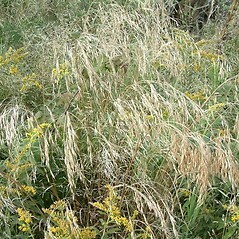 It is considered an important forage plant for cattle in the West. 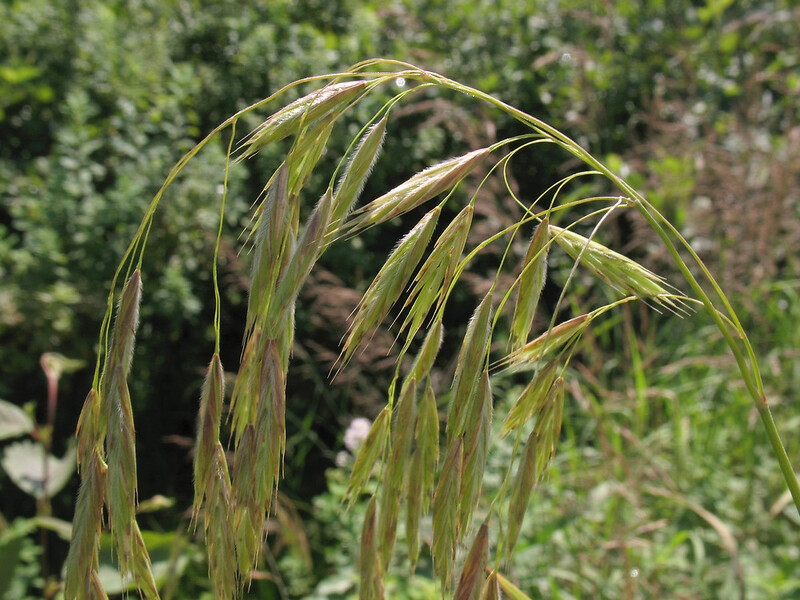 Its seeds are eaten by small mammals and birds. 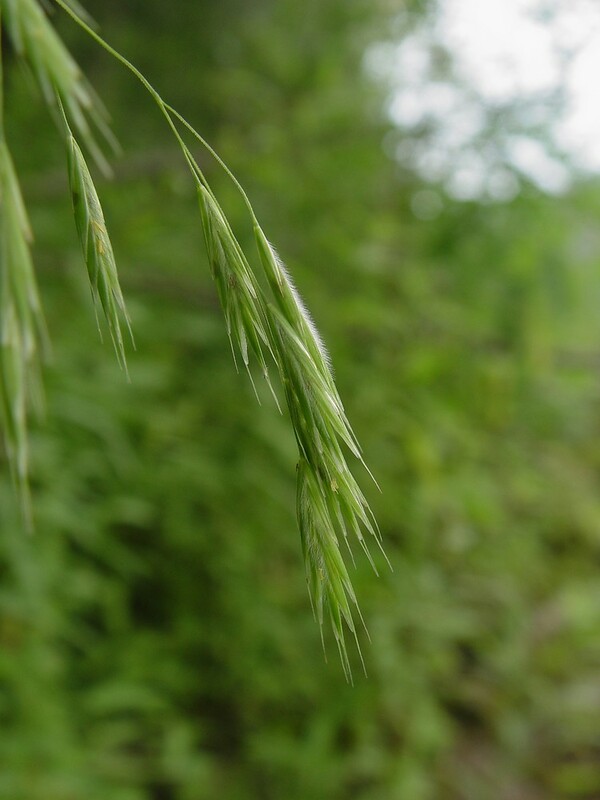 The Iroquois soaked their seed corn in a tea made from fringed brome before planting. 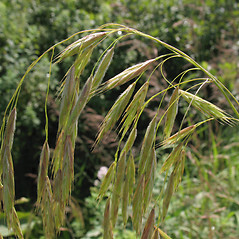 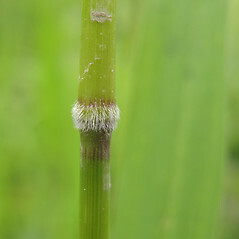 Bromus ciliatus var. 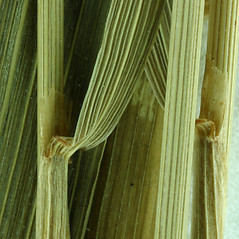 intonsus Fern. 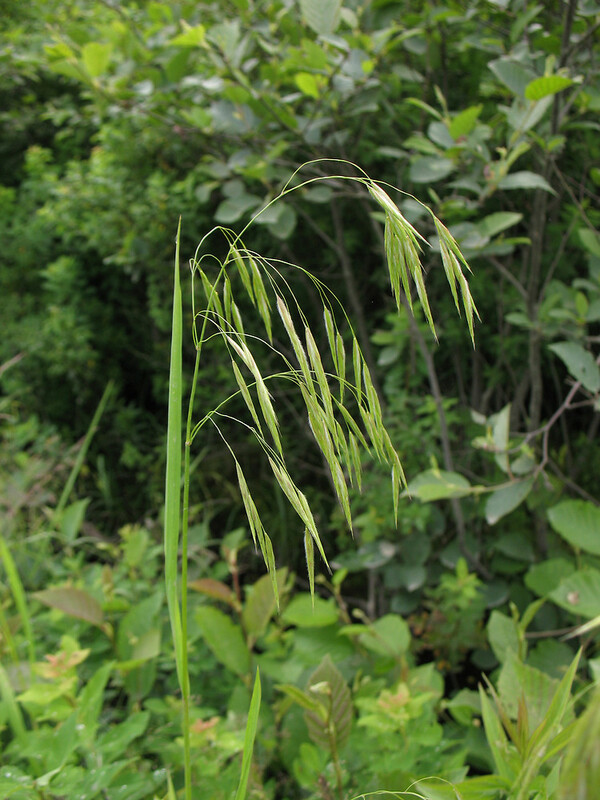 Fringed brome. 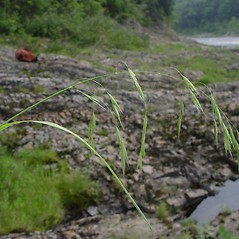 Bromopsis ciliata (L.) Holub; Bromus canadensis Michx. 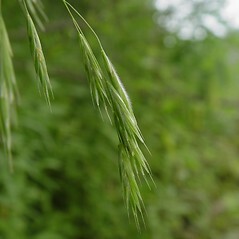 ; B. ciliatus L. var. 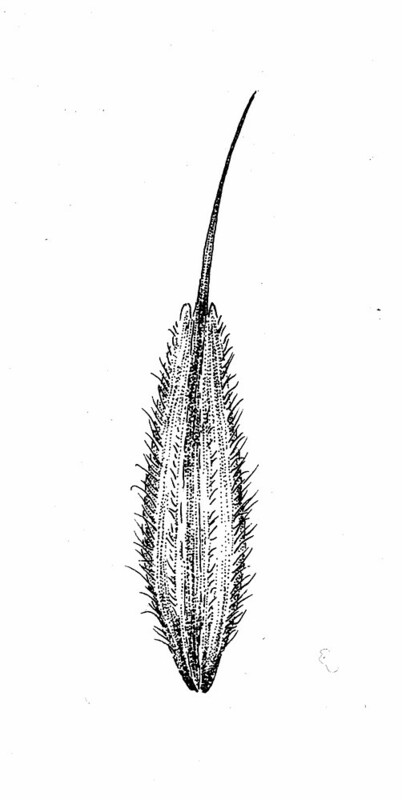 intonsus Fern. 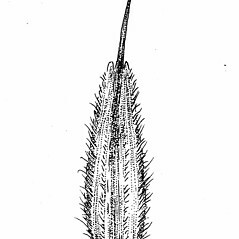 ; B. dudleyi Fern. 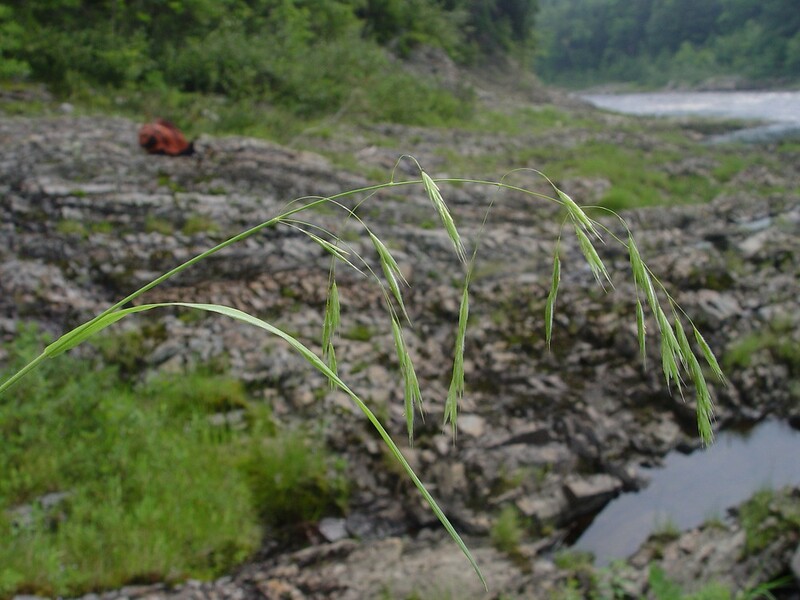 • CT, MA, ME, NH, RI, VT. Mesic to wet-mesic forests, forest edges and openings, stream banks.